When you are in a pizzeria, what is the first thing you ask, just after ordering pizza? I don’t know you, but I usually ask for some hot chilli olive oil!! Real Italian pizzerias make it by themselves. It gives a little extra that makes your pizza perfect. Why was I mentioning pizza? Of course, because of hot chilli olive oil. 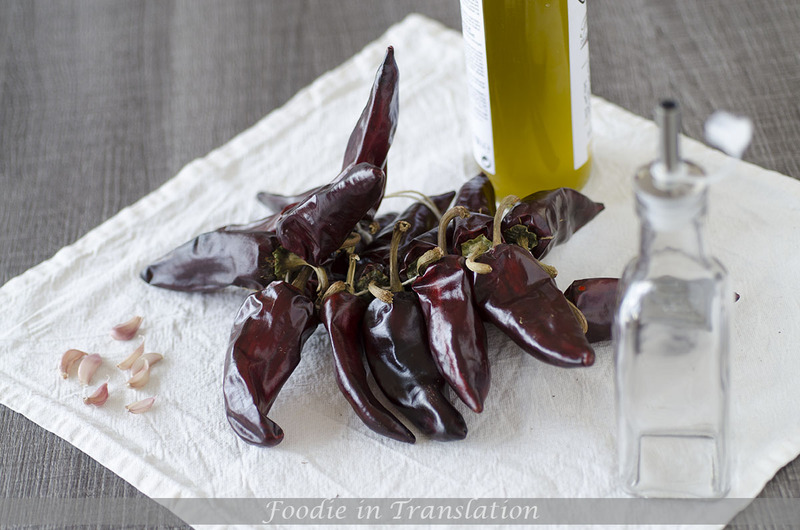 You know, when I am not in a pizzeria, I use my homemade hot chilli olive oil!!! It’s easy and fast to prepare. Well, you have to wait some weeks before you can use it, but I can promise you it is totally worth it. Just to give it even more taste, I also add some garlic. Take a 250ml glass drizzler bottle. 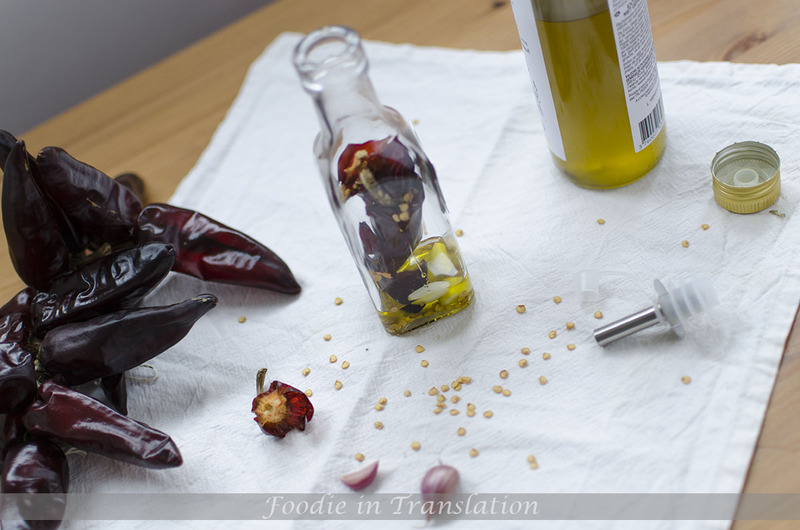 Peel the garlic and put it into the bottle with one whole red chilli pepper. Cut into pieces the other chilli pepper and put it into the bottle, too. 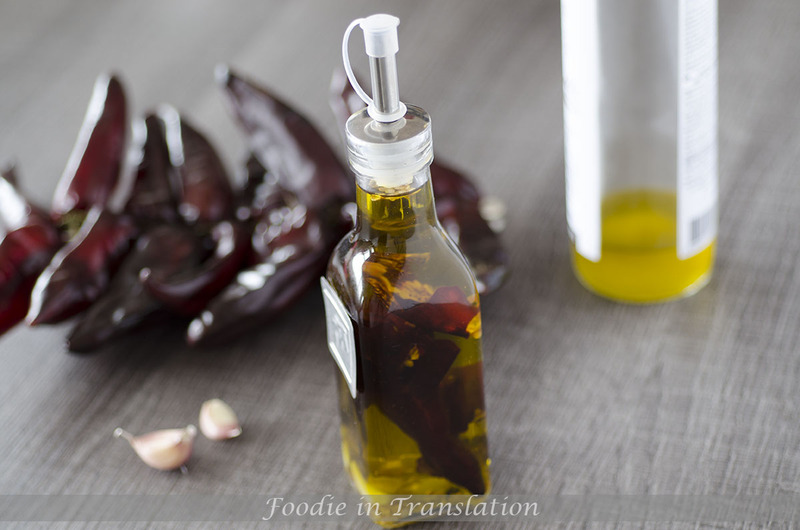 Fill the bottle with olive oil. Recap the small bottle with a and set it aside. Let it rest for two weeks at least and then you can use it. The more it rests, the more its becomes hot. Keep the bottle in a dark and cool place and use it within 5 or 6 months.